At Vision Source Castle Hills, we have comprehensive eye care and eyewear for all of your vision care needs. We are your preferred optometrist in San Antonio. As a one-stop shop for your entire family's eye care, you can count on us to be there to take care of it all. We are dedicated to providing you with the best in care and the most extensive range of eyewear choices in the area, and we stand by that commitment. Whether you need a basic eye exam or LASIK surgery, we're here to give you the best experience possible. 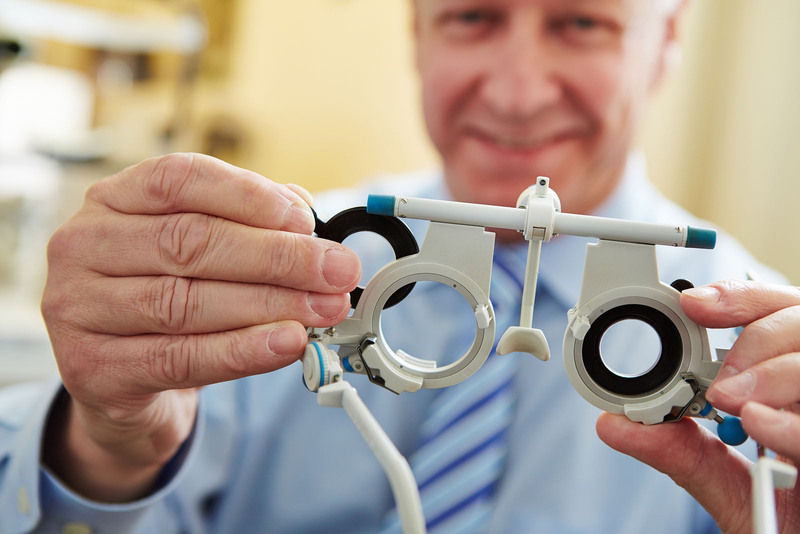 Your San Antonio Optometrist will begin with a general eye exam to test for vision acuity, then move on to tests for eye function and eye health. The vision acuity test measures how well you can see at reading distance and far away. The eye function tests measures the performance of your eyes in things like focusing, peripheral vision, color vision, and the strength and function of eye muscles. The eye health portion of the exam tests for glaucoma, macular degeneration, and cataracts. Children‘s eye exams require a different type of care, as well as some different tests. We want to make sure the eyes and muscles around the eyes are developing normally, and any imbalances or other potential issues are dealt with right away to ensure normal vision as your child grows and matures. We are very warm and compassionate with children, and take steps to ensure their exam is as easy and relaxing on them as possible. We also test to see if they need glasses, and will teach them how to wear and care for those glasses if they are required. There are times when corrective lenses are not enough to bring clear vision to a client. In these instances, vision therapy is what is required. This therapy is like physical therapy for the eyes. It involves progressive exercises to improve how they eyes work, including the muscles around them. As each person is different, our vision therapy programs are custom designed to meet the unique needs of our clients. If you are considering LASIK surgery, we will give you an evaluation to determine if you are a suitable candidate. If you are, we will refer you to a trusted surgeon. We also handle all of your pre and post-opertaion care. We provide contact lens exams, as well as exams for people who wear glasses. We will determine if your prescription has changed, or if you need a new type of lens. You can also find a new pair of frames right here in our office and even prescription sunglasses in a variety of trendy styles. Contact us at (210) 344-1400 to set up an appointment for your first visit, exam, and evaluation with our San Antonio Optometrist. We look forward to meeting you and welcoming you to the Vision Source Castle Hills family.